In the first picture it seems there is no synchronism between atrial and ventricular activity. But in the second picture it's clear that there are atrial and ventricular leads. 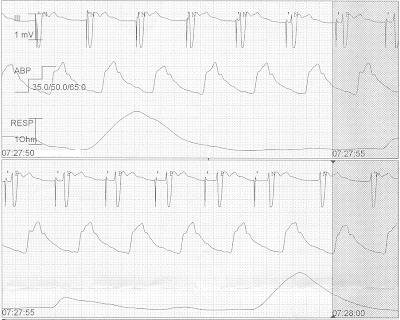 So maybe in the first picture there is only atrial pacing, or the mode "atrial tracking" is off? Is this a correct answer? Johan, all your answers are correct. And, your English is perfect! 1) Non-capture is the problem. 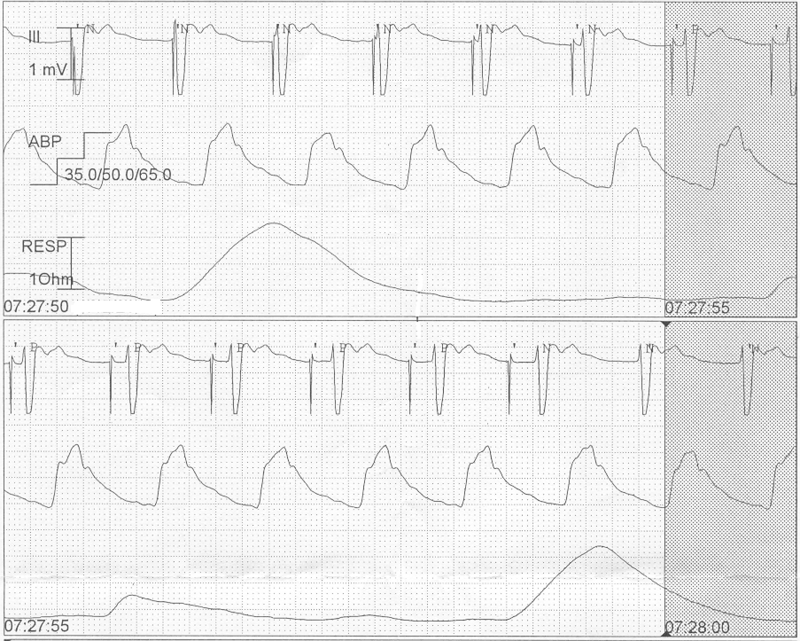 (Hard to say whether it is atrial pacing or ventricule pacing when there is no capture! This was set at VVI mode). 2) Solution to this problem is "increasing the output threshold in the pacemaker" to ensure capture. Ideally, output threshold should be determined and the output should be set 2-3 times the threshold. 3) Lower panel: DDD mode. Rate 110/min. AV interval is set at 140 ms.